Of all the world’s companies, Apple ranks as the 11th most valuable. 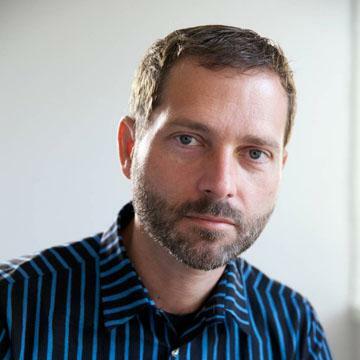 As a technology company its market capitalization is second only to Microsoft. 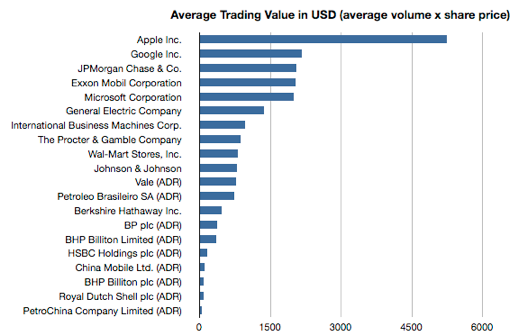 Of the top 20 largest companies, all of which are above $150 billion in market cap (listed in graph above), Apple has the highest volume of trading as measured by dollar value (average volume multiplied by last share price is $5.2 billion per day–see graph). In fact, it’s more than twice as popular as a traded equity than the next highest, Google and 2.6 times as popular among traders as Microsoft. This trading volume might also be reflected in its beta (the correlation of price with the market with 1 meaning perfect correlation). Apple’s Beta is 1.59, nearly the highest of the super-large caps and the highest by far of the tech large caps. 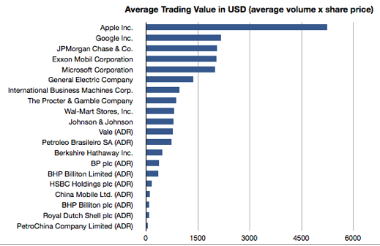 Surely, this confirms that Apple is not only huge but hugely popular and highly visible among investors. Suggestions that its current discounted value is due to obscurity among IT buyers translating to obscurity among investors does not wash.